It was so interesting, a few years back, when we were literally in the midst of watching an entire subgenre of Reggae music totally explode and find so much success on so many different levels. There were artists seemingly coming up from out of nowhere consistently and not only would you find yourself 'discovering' these individuals, but you'd find out that you were a few years behind the times and, often, they'd already have an album (or two, or three) to their credits, respectively, and a pretty large following in some instances as well. For me, just as someone paying close attention, this easily one of the most remarkable and fascinating times in recent Reggae history and, thinking ahead through years from now, surely it will be remembered as such. Of course, what I'm referring to is the SWEET Reggae music emanating from out of the Virgin Islands which has, in a relatively short time, strolled right to forefront of modern Roots Reggae music and at this point, arguably, is the most dependable station in any part of the world for delivering Roots music. Even today, while things have slowed in terms of new artists having that IMMEDIATE impact (although it still is going on, biggup Ambush), what we're seeing now are the established stars journeying out and doing more and more big material, such as the likes of NiyoRah, Pressure Busspipe and, unforgettably, Vaughn Benjamin and Midnite. It's the last of those luminaries which is of particular interest today as the trailblazing and pioneering Midnite, as a band, was looked upon as one of two very widely treasured groups from out of the VI (now, they're even more who have gotten their due respect) at the time, while also enjoying very much a 'fatherly' type of role simultaneously (which 'they' still do enjoy). The other band was a little different. They kind of rolled in different circles and marched to the beat of their own proverbial drummer (well I guess that's literally in this case), but were absolutely no less powerful and COMPLETE, musically - the amazing Bambú Station. Fronted by the brilliant Jalani Horton, the Station was and remains very much one of the few pillars in Virgin Islands Reggae music having not only established so many great things for themselves, but for a multitude of others as well - in and out of the music. Their work has always been crucial and a very big deal, particularly in relation to VI Reggae music and it's time now to observe another 'big deal' for the first time in more than half a decade. 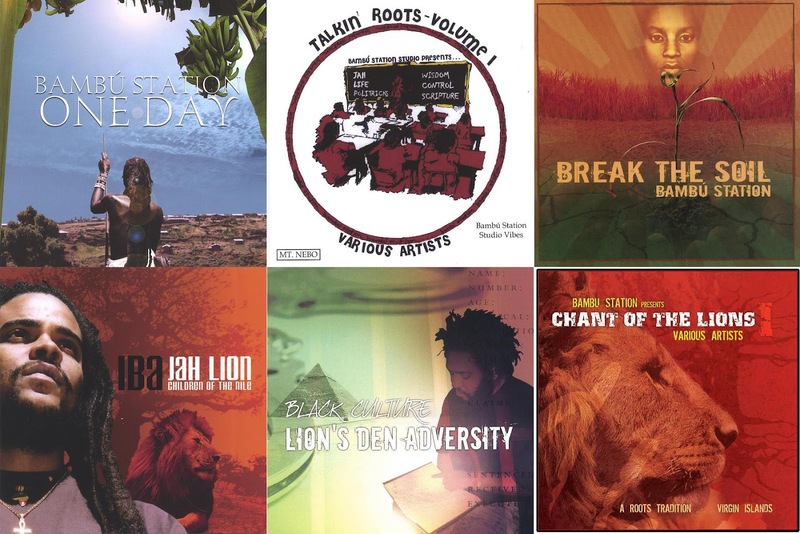 Previously, Bambú Station had released three very large compilations: two volumes of "Talkin' Roots" and "Chant of The Lions" in 2007. Those compilations stand as some of the finest featuring VI Reggae talents almost exclusively. Artists benefiting from exposure on those sets includes the likes of the aforementioned Pressure & NiyoRah, Ras Bumpa, Danny I, Dezarie, Rafijah Siano, Lady Passion and even Army. Furthermore, the Station has also dealt with full albums for both Ras Iba ["Jah Lion: Children of The Nile" & "Many Lives"], Ickarus ["Mind of The Icktionary"] ("mind who you lime round, spend time round") and Black Culture ["Lion's Dem Adversity"]. So they've really been instrumental in putting so much work out there for so many big names and future big names. 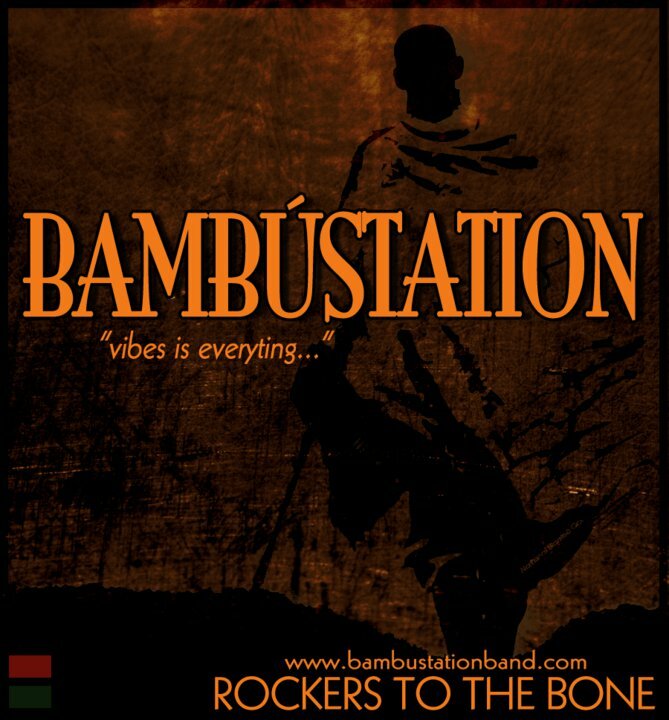 And certainly Bambú Station is part of that as well - they also have had three albums for themselves: the brutally difficult to locate "Congo Moon", from 1999, "One Day" from four years on and "Break The Soil". The final of those arrived a woefully long six years ago and there really hasn't been an album of any sorts bearing the Bambú Station name from since 2007 which is a LOT of waiting! All the more perplexing has been the fact that they've continued to tour and remain active, but apparently it took just a while to get things together for an album. Between You and Me, however, it was worth it. 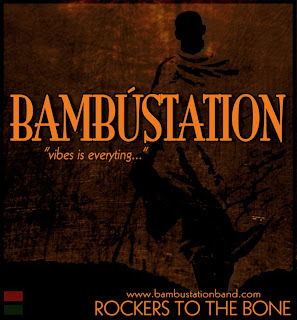 A couple of years back the news reached that Bambú Station was not only at work on their own next release, but also had a title for it, a first single and was set to push it out in, if I recall correctly, in late 2010. Fast forward a year and a half on and . . . 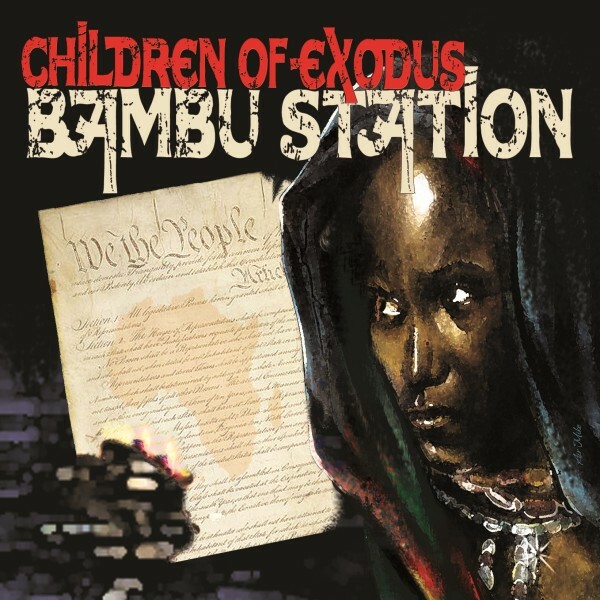 FINALLY it's here as "Children of Exodus" is now available, making it the first Bambú Station album in six years (in that same time, by my count, Midnite has released four hundred and twenty eight albums). The album immediately becomes yet another testament to the powerhouse of a year for Reggae releases that 2012 has been and it's going to rank, for many people and myself well included, as one of the finest of the entire lot because from beginning to end it is a re-education in exactly what made Bambú Station so powerful a few years back. It's also going to offer a few newer heads the opportunity to fall in love with one of the greatest bands in Reggae today and in all of the modern era of the music. Speaking of bands, the lineup of bands change constantly and Bambú Station hasn't been an exception of that. At one time the group featured quite a few different members, most notably Andy Llanos on drums and the brilliant Tuff Lion as a guitarist and producer. To my grasp these days, the musicians currently playing with the unit and those on the album (we have the digital version) include Kojo Johnson, Cat Mitchell, Mat 'Swamp Guinea' Mitchell, Ras Igee and, of course, Jalani Horton. Another change for this set is that you surely have noticed pretty much everything carrying the Bambú Station name has been released under the Mt. Nebo Records banner, but this album and presumably everything to come after it is for their new label and studio, GriotLife Records (digitally courtesy of the miracle workers at Zojak Worldwide). 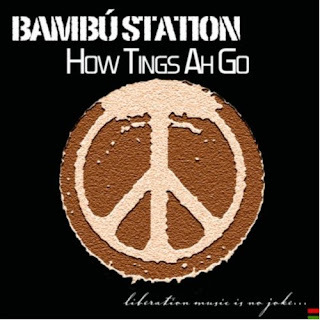 Yet, while faces and names and logos and operations change, what remains is that Bambú Station simply makes some of the best vibes to be heard in all of Reggae music. Although you're certain to never hear him (or anyone else) regarded in such a class as Vaughn Benjamin, Jalani Horton is one of the strongest lyricists currently in Reggae music today. He has a very curious quality which runs his words in such a manner that basically every song is about expressing a single idea. You'll hear very broad tunes from other great lyricists (including Benjamin), but in a method somewhat similar to someone like a Tanya Stephens, Horton pushes several different thoughts at a listener, but does so under the 'umbrella' of expressing one concept, which is very unique. You can get a taste of just how unique on the sweet serenity of an opener to the new album from Bambú Station, "Children of Exodus", 'Walk Ur Mile'. I've now easily heard this one well over a dozen times and I've come to the conclusion that it is about as properly positioned tune on an album that I've heard in some time. You want to put something at the head which is really going to keep someone's interest, going forth, and this one does that divinely. The song really says for everyone to make a contribution to the world in their own way and to experience life - to do what you're going to do. Hopefully, obviously, what you choose to do with yourself is constructive and positive, but whatever you do it is within the realm of living a daily life and that life goes on and on. Next up is the tune previously alluded to as the album's older first single, 'How Tings Ah Go', which was released more than two years ago now. This song has grown on me considerably from since then, and I did like it initially, so these days, it is easily one of the best things I hear on this record. “Can you keep yah head, when everyone is losing theirs? Can you keep yah head, when they all blame you instead? Can you keep yah head, when you pushed in the corner? Next is another big tune in the extremely straight forward 'Contradiction'. This is just a pure message track and one which, as is the case so often with Bambú Station's music, you really need to bring something to the table as far as a listener and I love tunes like this which are definitely challenging, so it's going to help if you're a more experienced type of a listener, more on that later. On an album of this quality, it's kind of hard to differentiate at times, but to my opinion, it is in its middle portions when "Children Of Exodus" truly pinnacles and serves up some SPECTACULAR Roots Reggae music. Starting off this amazing stretch, following an introduction, is the heavy 'Wanna C U Love'. The title itself and the concept of the tune are very interesting because it essentially designates 'love' as an action (because it is). By extension, Horton suggests (correctly) that the love will manifest itself in your life, making not only you a better person, but everyone around you potentially as well. This is a tune which I think may very well go overlooked here, but definitely don't pass it over as it isn't the most dynamic you'll find on the album. Then up is the HUGE 'Bonded Together', which was my favourite song on "Children Of Exodus", until I paid a special attention to what came immediately after it. Listen to it once and you'll know why (and may end up disagreeing with my ultimate choice because this song is a great one). The next song is just something else, however. Preceded by 'Ngosi Sekelele Afreeka' ['God Bless Africa'], which is the South African National Anthem, played on what appears to be harmonica - 'Leaning On Africa' is MASSIVE! Spread my ashes, where lions roam! BOOM! The song really gives the listener such a powerful since of pride and JOY. It's on a vibes which you wouldn't necessarily equate with being such, but I smile a HUGE grin every time I hear this beautiful piece - the best song on the album in my opinion. Ideologically, it also finds Horton placing such an immense amount of significance on Afrika and how its sons and daughters are so much better off if it is a healthier place, which is such a discussable and RIPE moment that I could probably write four or five of these on it alone. 'Heathen' is another sensational piece to my ears and it's also one which changes things up. After a slow opening, the tune is all over the place! There's an electric guitar, there's singing and chanting, there's Spoken Word, there is just so much! By its end, it very much has a LARGE feel, in the way of vintage Steel Pulse's anthem sounding tracks. There's also an interlude in this stretch, 'Bambu Elektricity', which is just SO nice. It's basically just the testimonials of fans to the attractions of the group - taped at stage shows and other events. There is music playing behind it and it's very nice, but . . . It's just people talking and yet - I COULD NOT STOP LISTENING TO IT! Thankfully I did, eventually, pry myself from the electric charge to get to another highlight from "Children Of Exodus" the very familiar sounding 'Warnin' which is a lovely, lovely song also and one which sounds really familiar to my ears. The song appears to be a more streamlined version of a similar song from the "Congo Moon" album, 'Diz Iz A Warnin'. Of course, Bambú Station should just go ahead and give that album to Zojak Worldwide, so they can make it available, but in the meantime, this was a good idea. It's an exceptional social commentary of a song and one which needs to be heard. Now, the final portion of this album isn't at all bad either, in fact, it's one of the final closing bits we've heard this year, but the middle section, as I said, was just on another level. Helping to round out the record are big tunes like 'Times Is Dread', 'Families of Jah' and the actual closer for the album, 'Closer To Heaven'. The last of these is one of a few changeups here. It's largely a different sound from the rest of the tunes, but it really did grow on me and did so fairly soon I'll say, despite being very skeletal. 'Times Is Dread' ["so wi betta create a mental state, to show the people the way"], on the other hand, had no room for growth at all for my tastes, I was impressed through the very first spin. DEEP is the word for this one, definitely pay a great deal to what is said on this one, because it really goes from a song which is kind of a narrow, but undefined social observation into something so specific and direct, lyrically, that you'll lose your way if you don't stick to it. Yet, like I said earlier, it all runs together - all for a single point. And for 'Families of Jah', another song which could (and likely will) occupy my time for a long time to come. I talked extensively about the quality of the middle of the album being so great, and it is, but this is a tune from the final lot which fits with them, clearly. The sound is kind of on an acoustic vibes, but it's so FULL at the same time which is rare and Horton uses it to deliver arguably the most inspirational message on "Children Of Exodus", outside of 'Leaning on Afreeka'. There's also a fascinating title track on the record which features Ben Ammi on the Spoken Word vocals, who is an Israelite spiritual leader. I'm not going to dive into this one too much (because it very much explains itself), but I'll just tell you to listen to it with a very 'accessible' mind, because it, like several songs here, is quite challenging to the listener and I mean that in a good way. And finally is 'All We Have', which is the only song on the album which I didn't like at all for awhile and now, while it still isn't amongst my favourites, I have grown in appreciation for it (if you listen to that song on a big speaker, you'll probably figure out why). It's very vibrant and beautiful, I just didn't like it for some reason, but like I said, those times are changing. Overall, obviously I'm going to give the return of Bambú Station a big recommendation, but it's one, as I said, which is going to come with a qualifier of sorts. I've been wrong about this in the past, but I can't really see too many newer fans of the music enjoying this one a great deal. The Station's music is, and has always been, really straight forward and HEAVY modern Roots Reggae which is not only more appreciable by long[er] time fans of the genre, but those individuals do have more of an 'advantage' in following along. With that being said, however, I will say that "Children Of Exodus" just may be the group's single most accessible set to date, for whatever it's worth (although if you're completely new to them and want to get to know what they're about, I'd definitely suggest one of their big compilations). Luckily for me, I just happen to be an older listener (I'm REALLY old) and I LOVE this album and it is one which I can definitely see growing on my tastes more and more as the year goes along [like Joggo did last year], which is saying a lot because it doesn't have further to progress on me. So, although they took their time to get back to us, Bambú Station is back and they're back with what is, in my opinion, not only their own single best album to date, but also one of the best you'll find from anyone in 2012. Reggae music from the Virgin Islands has been on a mighty streak over the past couple of years or so and it just got even better as one of the finest Reggae bands ever has returned with a real winner. EXCELLENT! Check out --> Sherwyne Splenda hails from Siparia, Trinidad & Tobago. A well seasoned vocalist out of the O-Brothaz Camp, his varied style and vocal range is set to take the reggae world by storm. 2011 Copyright O-Brothaz Productions Ltd.
Gwan Bambu...More health and strength. Achis biggup saidwayzzz!!!! !